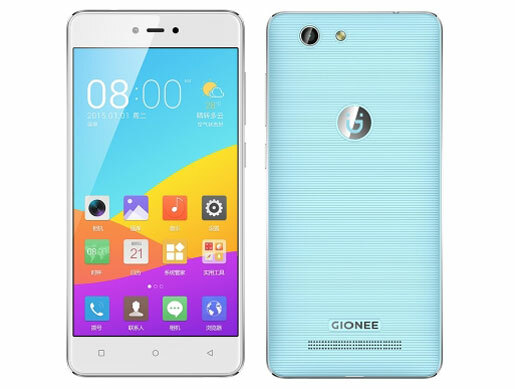 In addition to F100, one more entry-level Android smartphone that was launched by Gionee is F103B. Gionee F103B comes with the operating system Android 5.1 Lollipop with Amigo 3.1 UI interface display. Gionee F103B has IPS LCD touch screen measuring 5.0 inches with a resolution of 720 x 1280 pixels and produces a pixel density of 294 ppi, and overlaid with a 2.5D curved glass. Gionee F103B powered by MediaTek MT6735 chipset, which is supported by a 64-bit processor quad core 1.3GHz and Mali-T720 GPU. And equipped with 1GB of RAM and provides a storage media via an internal memory of 16GB that can still be expanded through a microSD slot up to 128GB. Gionee F103B armed with 13-megapixel rear camera is equipped with autofocus and LED flash, and armed with a 5 megapixel front camera. Gionee F103B equipped with other features like dual SIM, 4G LTE with VoLTE, Wi-Fi, Bluetooth 4.0, GPS and equipped with a battery capacity 2.400mAh.